Home Tags Posts tagged with "un security council"
North Korea’s latest missile test has been unanimously condemned by the UN Security Council, while warning of new sanctions. In a statement, the 15-member Council demanded that North Korea conduct no further such tests. Pyongyang earlier said the missile it had tested on May 14 was a new type of rocket capable of carrying a large nuclear warhead. The missile traveled some 435 miles, reaching an altitude of 1,250 miles and landing in the sea west of Japan. 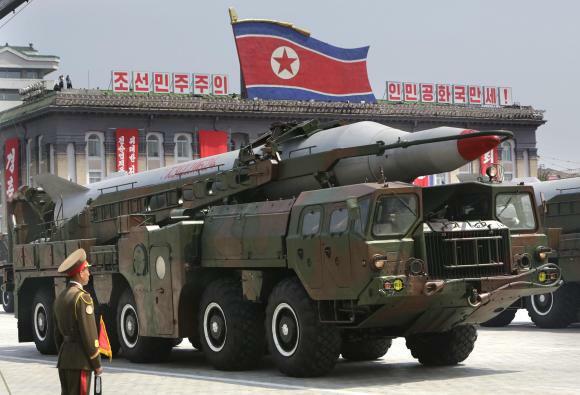 North Korea said it was a test of the abilities of a “newly developed ballistic rocket”. South Korea’s military said it could not yet verify North Korea’s claims. However, it said Pyongyang’s missiles did appear to be able to leave and re-enter the atmosphere, which is crucial to developing intercontinental ballistic missiles (ICBMs), South Korea’s Yonhap news agency reports. 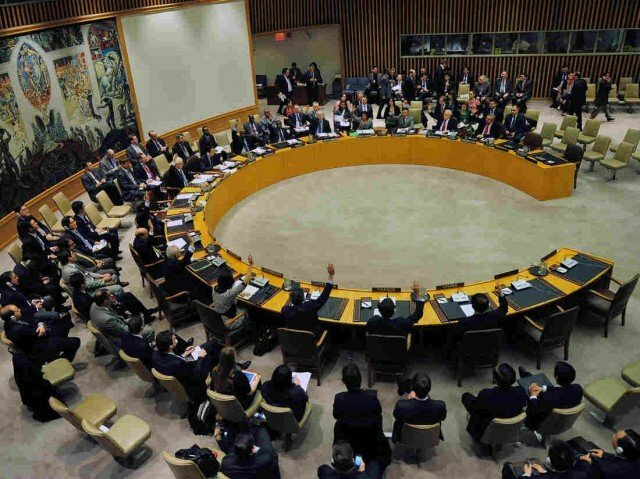 In the statement on May 15, the UN Security Council stressed on the importance of North Korea “immediately showing sincere commitment to denuclearization through concrete action”. North Korea should “conduct no further nuclear and ballistic missile tests”, it said. The UN Security Council has imposed six sets of sanctions against North Korea since 2006. North Korea’s KCNA state news agency said the test of a “newly developed mid/long-range strategic ballistic rocket, Hwasong-12” had gone to plan. “The test-fire aimed at verifying the tactical and technological specifications of the newly developed ballistic rocket capable of carrying a large-size heavy nuclear warhead,” it said. North Korea is known to be developing both nuclear weapons – it has conducted five nuclear tests – and the missiles capable of delivering those weapons to their target. Both are in defiance of UN sanctions. However, it remains unclear whether it has the ability to make the weapons small enough to be mounted on a rocket, and it has never tested an ICBM which could reach, for example, the US. ICBM’s are considered to have a range of about 3,750 miles, but analysts believe the missile tested on Sunday would have travelled about 2,500 miles if it had been fired at a standard trajectory rather than upwards. 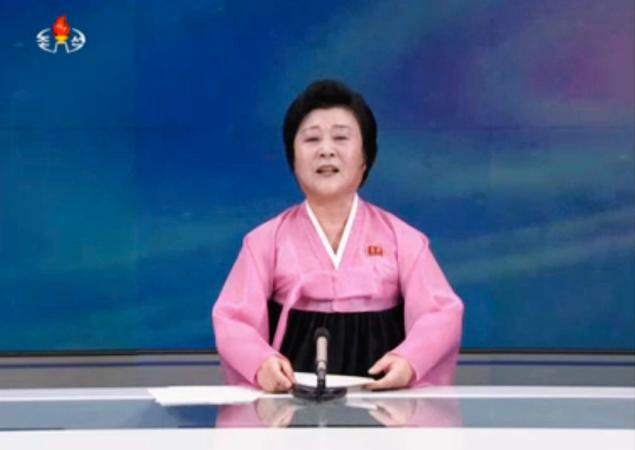 The KCNA report said that, as ever, the test had been overseen by North Korea’s Supreme Leader, Kim Jong-un. It said Kim Jong-un had told the scientists and technicians involved “not to be complacent” but to build further “nuclear weapons and methods of delivery” until the US made “the right choice”. The White House has mooted talks with North Korea under the right conditions, which would include a halt to missile tests. The UN Security Council has announced it will begin work immediately on new measures against North Korea, after Pyongyang claimed it had tested a hydrogen bomb. The council condemned the test, saying “a clear threat to international peace and security continues to exist”. This is North Korea’s fourth nuclear test since 2006, but if confirmed would be the first of an H-bomb. However, the US has joined nuclear experts in questioning whether the blast was large enough for such a test. White House spokesman Josh Earnest said “initial analysis was not consistent with North Korea’s claims of a successful hydrogen bomb test”. 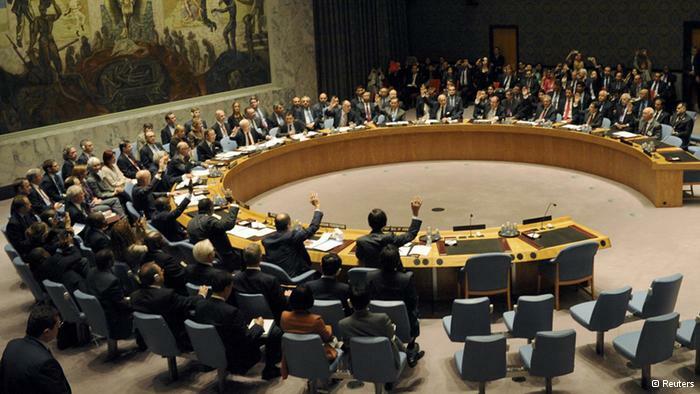 The Security Council held an emergency session on January 6. It was called by the US, Japan and South Korea. Uruguay’s UN Ambassador Elbio Rosselli, current president of the council, said: “The members… recalled that they have previously expressed their determination to take further significant measures in the event of another [North Korea] nuclear test. Josh Earnest said North Korea’s isolation had “deepened as they have sought to engage in increasingly provocative acts”. Japan’s ambassador to the UN, Motohide Yoshikawa, called for a swift and robust new UN resolution. However, Motohide Yoshikawa and other members have not spelled out what they will be or when the resolution could be adopted. Russia’s UN ambassador said it would be going “too far” to say Moscow supported further sanctions. North Korea’s tests in 2006, 2009 and 2013 triggered UN sanctions, with 20 entities and 12 individuals on a UN blacklist. If an H-bomb test were confirmed, it would mark a major upgrade in North Korea’s nuclear capabilities. Hydrogen bombs are more powerful and technologically advanced than atomic weapons, using fusion – the merging of atoms – to unleash massive amounts of energy. Atomic bombs, like the kind that devastated two Japanese cities in World War Two, use fission, or the splitting of atoms. A South Korean politician, Lee Cheol-woo, said he was briefed by the country’s intelligence agency that the blast “probably falls short” of a hydrogen detonation. Suspicions that North Korea had carried out a nuclear test were raised when an earthquake was registered near the Punggye-ri nuclear site in North Korea at 10:00 Pyongyang time, with the tremors rattling Chinese border cities. A note signed by North Korea leader Kim Jong-un authorizing the test said 2016 should begin with the “stirring explosive sound” of a hydrogen bomb. China and Japan are reported to have been trying to detect radiation. North Korea’s human rights record is being discussed by the UN Security Council, despite opposition from China and Russia. It comes days after the UN General Assembly voted in favor of referring North Korea to the International Criminal Court to face charges of crimes against humanity. North Korea has meanwhile reportedly suffered a large-scale internet outage. Last week, the US said North Korea was behind a cyber attack on Sony Pictures. It is the first time the UN Security Council has discussed the country’s human rights record. US envoy Samantha Power described North Korea as “a living nightmare”, and said a UN report showed the country’s brutality. The report by a UN human rights inquiry in February said that ordinary North Koreans faced “unspeakable atrocities”, including “deliberate starvation, forced labor, executions, torture” and political repression. North Korea refused to co-operate with the report and condemned its findings. It is not attending the Security Council meeting. China and Russia also attempted to block the subject from being discussed at the Security Council. However, they were overruled by other members. Meanwhile, a US-based Internet performance company said that North Korea was experiencing severe internet outages. 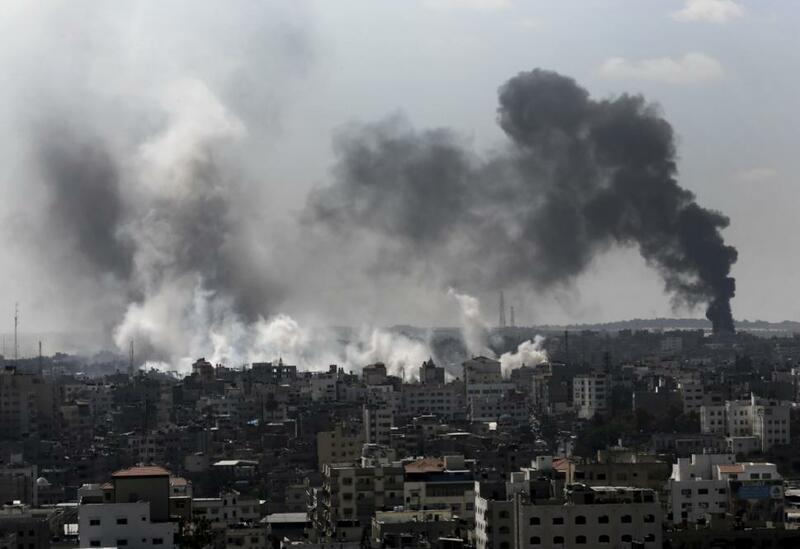 The United Nations Security Council has called for an “immediate and unconditional humanitarian ceasefire” in Gaza Strip. An emergency session backed a statement calling for a truce over the Muslim holiday of Eid al-Fitr “and beyond”. Both the Palestinian and Israeli envoys to the UN criticized the statement, for different reasons. Gaza had its quietest night in weeks after a weekend punctuated by brief truce initiatives offered by both Israel and Hamas. More than 1,030 Palestinians, mostly civilians, and 43 Israeli soldiers and two Israeli civilians have been killed. A Thai national in Israel has also died. The Gaza health ministry on Sunday revised the number of Palestinian dead down by 30 after some relatives found missing family members. Israel’s military reported a new rocket attack on Monday morning, saying it had hit an open area in southern Israel. It fired back, in its first reported military action since late on Sunday evening. The UN Security Council endorsed a statement from Rwanda, the current president of the council, calling for a “durable” truce based on an Egyptian initiative – under which a pause in hostilities would lead to substantive talks on the future of Gaza, including the opening of Gaza’s border crossings. The statement also emphasized that “civilian and humanitarian facilities, including those of the UN, must be respected and protected”. It further stressed the need for “immediate provision of humanitarian assistance to the Palestinian civilian population in the Gaza Strip”. The Palestinian representative at the UN, Riyad Mansour, said the statement did not go far enough and that a formal resolution was needed demanding that Israel withdraw its forces from Gaza. “They should have adopted a resolution a long time ago to condemn this aggression and to call for this aggression to be stopped immediately,” he said. Speaking for Israel, Ron Prosor accused the Security Council statement of bias. “Miraculously it doesn’t mention Hamas,” the Israeli envoy said. Opinion polls published at the weekend suggest there is still widespread support among Israelis for the military operation. The UN Security Council has warned over South Sudan’s food crisis as the worst in the world, calling for urgent action. 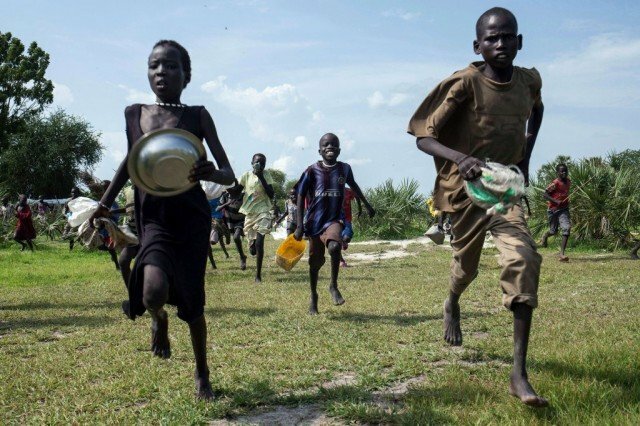 It said there was a “catastrophic food insecurity” in South Sudan, urging donor nations who pledged $618 million in aid to make good on their promise. The UN children’s fund, UNICEF, said some four million – a third of the population – could be affected. It said that 50,000 children may die of hunger in South Sudan unless international help increased. More than a million people have fled their homes since fighting erupted between different factions of South Sudan’s ruling party last December. Thousands have now died in the conflict that started as a political dispute between President Salva Kiir and his deputy Riek Machar but has since escalated into ethnic violence. Months of fighting have prevented farmers from planting or harvesting crops, causing food shortages nationwide. South Sudan, which gained independence from Sudan in 2011, topped the list of fragile states in this year’s index released by The Fund for Peace, a leading US-based research institute. The UN Security Council has adopted a resolution demanding access to Malaysia Airlines plane crash site in the rebel-held area in eastern Ukraine. 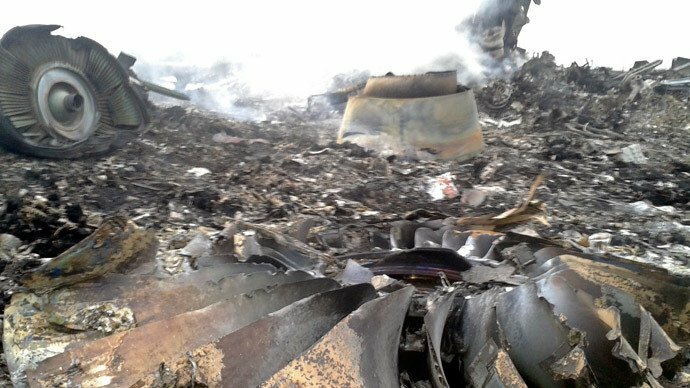 Pro-Russian separatists earlier allowed bodies from the Malaysia Airlines crash to be taken to the city of Kharkiv and handed over to international experts. Western nations say the rebels struck MH17 with a Russian-supplied missile, killing all 298 people on board. Meanwhile, the main rebel-held city of Donetsk has seen heavy clashes. Eyewitnesses say there is violence near the city’s airport and the railway station. The UN resolution, proposed by Australia, calls for a “full, thorough and independent international investigation” into the downing of the plane over Grabove on July 17. It also demands that those responsible “be held to account and that all states co-operate fully with efforts to establish accountability”. “We owe it to the victims and their families to determine what happened and who was responsible,” Australian Foreign Minister Julie Bishop told the meeting in New York. All 15 council members, including Russia, voted in favor. However, Russia’s envoy, Vitaly Churkin, warned that the Security Council should avoid jumping to conclusions about the cause of the crash. UK’s PM David Cameron earlier said there was strong evidence that pro-Russian separatists shot down the plane with an anti-aircraft system known as Buk. Russia denied allegations that it had supplied such missiles or “any other weapons” to the rebels. North Korea’s launch of two ballistic missiles earlier this week has been condemned by the UN Security Council. The UN Security Council also said it was considering an “appropriate response”. The Council’s president, Luxembourg UN Ambassador Sylvie Lucas, described the North Korean move as a violation of Security Council resolutions. North Korea test-fired two medium-range Nodong missiles over the sea on Wednesday. It was Pyongyang’s first launch of such missiles since 2009. Ballistic missile launches by Pyongyang are banned by the UN. The Security Council held a closed debate on Thursday that included a report from the deputy secretary general for political affairs, Jeffrey Feltman, diplomats said. The condemnation was not a formal statement but Sylvie Lucas said members had requested she read out the remarks as agreed by all participants. She said members had agreed “to consult on an appropriate response” and said that this response “should be given quickly”. 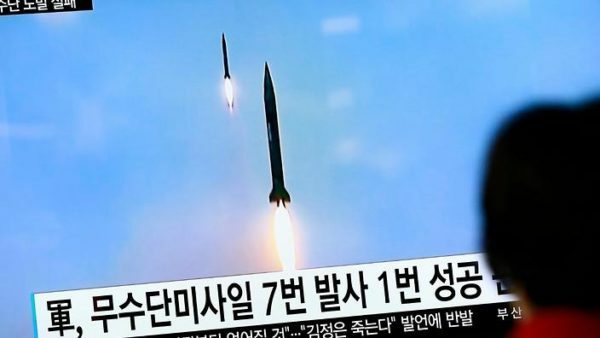 The South Korean defense ministry said the missiles had been fired from the Suckon region north of Pyongyang and flew for about 400 miles before falling into the sea off the east coast of the Korean Peninsula. The ministry described it as a “grave provocation”. The US State Department described the launch as “a troubling and provocative escalation”. In recent weeks, North Korea has launched multiple short-range missiles – actions which have coincided with annual US-South Korea military exercises. Saudi Arabia has rejected a non-permanent seat on the UN Security Council, accusing the world body of “double standards”. The Saudi foreign ministry said the UN needs to be reformed first. It said the Security Council had failed in its duties towards Syria as well as in other world conflicts. Saudi Arabia has previously expressed frustration at what it sees as an international failure to act on Syria, where it staunchly backs the rebels. There has been no official reaction from the UN, but diplomats there expressed surprise at Riyadh’s announcement. Russia’s foreign ministry called the move bewildering, and said Saudi Arabia’s criticism of the UN Security Council about its actions over Syria “is particularly strange”. The announcement came hours after Saudi Arabia was elected for the first time to one of the 10 rotating seats on the Security Council. The non-permanent members sit on the council for two years, along with the five permanent members – the US, the UK, France, China and Russia. “Therefore Saudi Arabia… has no other option but to turn down Security Council membership until it is reformed and given the means to accomplish its duties and assume its responsibilities in preserving the world’s peace and security,” it added. The failure “to find a solution to the Palestinian cause for 65 years” had led to “numerous wars that have threatened world peace,” the foreign ministry said. Saudi Arabia also criticized the UN’s “failure” to rid the Middle East region of weapons of mass destruction, including nuclear weapons. It also accused the UN of allowing the Syrian government “to kill its own people with chemical weapons… without confronting it or imposing any deterrent sanctions”. The UN Security Council last month finally broke a two-and-a-half year deadlock on how to deal with conflict in Syria after voting unanimously to adopt a binding resolution on ridding the country of chemical weapons. Saudi observers say Riyadh would have been working for years to gain a place on the UN Security Council, so such a decision would have to have been made at the very top of the kingdom’s leadership. One Security Council diplomat, quoted by AFP, said the announcement was “totally unexpected” and without precedent. 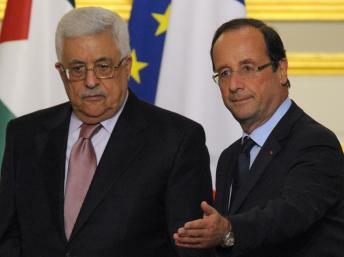 France has confirmed its intentions to vote for Palestinian non-member status at the United Nations later this week. Foreign Minister Laurent Fabius said France had long backed Palestinian ambitions for statehood and would vote yes “out of a concern for coherency”. The Palestinians are asking the UN General Assembly to upgrade their status from permanent observer to a “non-member observer state”. The vote is due to take place later this week. “This Thursday or Friday, when the question is asked, France will vote yes,” Laurent Fabius told the lower house of parliament. Backing international recognition of a Palestinian state was a campaign pledge made by Francois Hollande before he became France’s president earlier this year. France – a permanent member of the UN Security Council – is the first major European country to come out in favor of the move. Germany is expected to vote against, while the UK’s ambassador to the UN, Mark Lyall Grant, said on Tuesday that London remained undecided. An upgrade in status would allow the Palestinians to participate in General Assembly debates and improve their chances of joining UN agencies and the International Criminal Court (ICC), although the process would be neither automatic nor guaranteed. If they are allowed to sign the ICC’s founding treaty, the Rome Statute, the Palestinians hope to take legal action in the court to challenge Israel’s occupation of the West Bank. The bid follows an attempt in 2011 by Mahmoud Abbas, the president of the Palestinian Authority and chairman of the Palestine Liberation Organization (PLO), to join the UN as a full member state, which failed because of a lack of support in the Security Council. Observers say the latest Palestinian application is likely win approval in the 193-member UN General Assembly, as it needs to only a simple majority to pass. According to the PLO, more than 130 countries already grant the Palestinians the rank of a sovereign state. But Israel and the United States are concerned that the move is an attempt by the Palestinian Authority to secure statehood through the United Nations rather than through negotiation, as set out in the 1993 Oslo peace accords. Israeli foreign ministry spokesman Lior Ben Dor said earlier this month that if the Palestinians, with UN non-member observer status, asked the ICC to resolve disputes with Israel, then Israel would “take unilateral steps to protect its interests”. He did not elaborate on what those measures would be. The United Nations has decided to end its military observer mission in Syria, days before its mandate expired. A small, civilian office will be set up instead to maintain political contacts. “The conditions to continue UNSMIS were not filled,” France’s UN ambassador Gerard Araud said after a Security Council meeting. The UN mission had been part of envoy Kofi Annan’s six-point peace plan. But continued violence made the observers’ mission increasingly difficult. 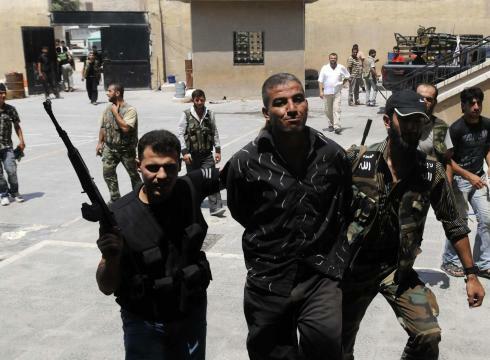 A bomb exploded close to their hotel in Damascus on Wednesday. The observers’ patrols were suspended in mid-June because of the “significant risk to their lives” and diplomats said the condition for renewing their mandate – a reduction in violence – had not been met. Russia warned earlier that pulling out of Syria would have “serious negative consequences” for the region. Moscow’s UN envoy Vitaly Churkin said Russia, which has vetoed three UN Security Council resolutions on Syria, wanted the UN to make an international appeal for the Syrian conflict to end. Kofi Annan resigned as UN-Arab League envoy to Syria a fortnight ago, complaining of a “clear lack of unity” in the Security Council. Although the 101 remaining military observers will leave Damascus over the next eight days, a civilian liaison office is due to remain and a new special envoy is expected to be appointed. Vitaly Churkin said Russia had called for a meeting on Friday of Security Council members as well as representatives from Saudi Arabia and Iran to discuss the crisis. 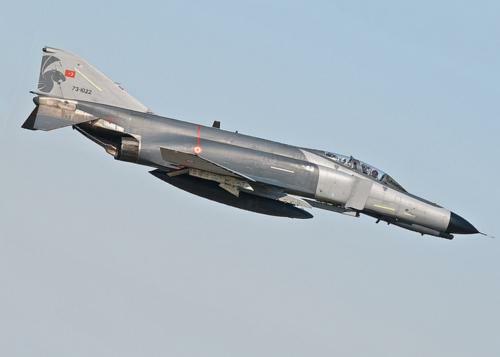 NATO members will meet in emergency session after Syria shot down Turkish F-4 Phantom warplane. The act is condemned by Turkey as a “serious threat” to regional peace. In a letter to the UN Security Council, Turkey described the incident as a “hostile act by the Syrian authorities against Turkey’s national security”. Turkey’s deputy prime minister said it “would not go unpunished”, but stressed it was not seeking military action. Damascus insists the F-4 Phantom jet was shot down inside Syrian airspace. In the letter to the Security Council, Ankara said the shooting down of its F-4 reconnaissance plane was “a serious threat to peace and security in the region”. The letter does not ask the council to take any action. Turkish PM Recep Tayyip Erdogan is expected to outline his next step when he addresses parliament on Tuesday. Turkey, a NATO member, has requested a meeting of the alliance’s ambassadors in Brussels after invoking Article 4 of NATO’s founding treaty, which entitles any member state to request consultations if it believes its security is threatened. This is believed to be only the second time in NATO’s history that a member state has invoked Article 4. In 2003, Turkey asked for NATO assistance to ensure its security in the run-up to the Iraq war. A NATO official quoted by AP news agency said Turkey’s NATO envoy would inform other ambassadors of the details of the incident at Tuesday’s meeting. The envoys are then expected to discuss Turkey’s concerns but not decide on anything specific, said the official. The North Atlantic Council – which consists of ambassadors from all 28 NATO countries – works by consensus and all members must approve any action. Deputy Prime Minister Bulent Arinc, speaking after an emergency cabinet meeting on Monday, called the shooting down of the jet “a hostile act of the highest order”. He vowed that Syria would “not go unpunished” but added that Turkey had “no intention” of going to war. “We don’t believe warmongering or provoking the crowds by being righteous is the right thing to do. What needs to be done will be done within a legal framework,” he said. Tensions between Syria and Turkey rose even higher on Monday when Turkey accused its neighbor of firing on another of its planes. Bulent Arinc said the CASA search and rescue plane – which had been looking for the F-4 Phantom jet – was not brought down. He said the Syrians stopped firing after a warning from the Turkish side. Ankara has said the jet strayed into Syrian airspace by mistake last Friday but was quickly warned to change course by Turkish authorities and was one mile (1.6 km) inside international airspace when it was shot down. Syria said it was unaware that the plane belonged to Turkey and had been protecting its air space against an unknown intruder. 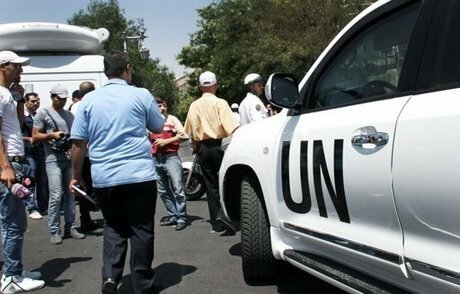 But in its letter to the UN Security Council, Turkey says that intercepted radio communication shows that Syrian units were fully aware of the circumstances of the flight. Relations between the two countries were already highly strained before the F-4 was shot down. Recep Tayyip Erdogan has been outspoken in his condemnation of Syrian President Bashar al-Assad, whose government he accuses of brutally putting down opposition protests.